For questions or issues, contact Rex Blair, road superintendent, at (614) 991-6886. NPDES compliance — for more details on NPDES Phase II Compliance information, please visit the Franklin County Soil and Water Conservation website at www.franklinswcd.org. Right-of-way permit — for contractors and utility companies. Download the right-of-way permit form, and return it to the township complete with site map and detailed plans. 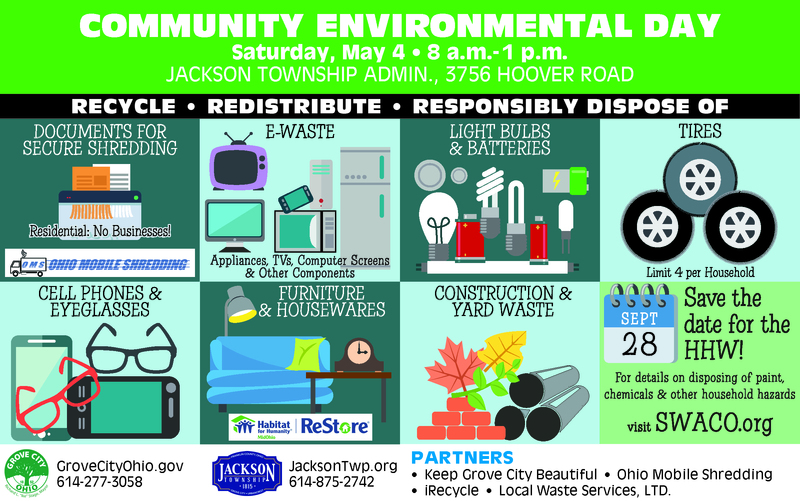 The right-of-way permit form can be e-mailed to info@jacksontwp.org at Jackson Township.